"I am an eyewitness to the ways in which people relate to themselves and to each other, and my work is a way of scooping and ladling that experience." Richard Joseph Neutra (April 8th, 1892 – April 16th, 1970) is considered one of modernism's eminent architects. Neutra was born and brought up in Vienna and studied under Adolf Loos at the Technical University of Vienna. He was influenced by Otto Wagner, and worked for a time in Germany in the studio of Erich Mendelsohn. He moved to the United States by 1923 and became a naturalized citizen in 1929. 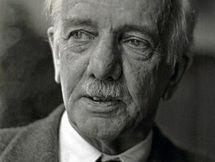 There he also worked briefly for Frank Lloyd Wright before accepting an invitation from his close friend and university companion Rudolf Schindler to work and live communally in Schindler's Kings Road House in California. In California, he became celebrated for rigorously geometric but airy structures that symbolized a West Coast variation on the mid-century modern residence. 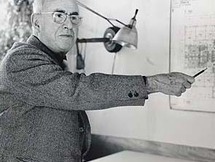 In the early 1930s, Neutra's Los Angeles practice trained several young architects who went on to independent success, including Gregory Ain, Harwell Hamilton Harris, and Raphael Soriano. He was famous for the attention he gave to defining the real needs of his clients, regardless of the size of the project, in contrast to other architects eager to impose their artistic vision on a client. Neutra sometimes used detailed questionnaires to discover his client's needs, much to their surprise. His domestic architecture was a blend of art, landscape and practical comfort. Neutra had a sharp sense of irony. 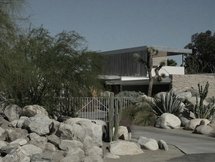 In his autobiography, Life and Shape, he included a playful anecdote about an anonymous movie producer-client who electrified the moat around the house that Neutra designed for him and had his Persian butler fish out the bodies in the morning and dispose of them in a specially designed incinerator. This was a much-embellished account of an actual client, Josef von Sternberg, who indeed had a moated house but not an electrified one. The novelist/philosopher Ayn Rand was the second owner of the Von Sternberg House in the San Fernando Valley (now destroyed). In the 1960s, Neutra realised several projects in Europe. He died in Wuppertal, Germany, on April 16, 1970.